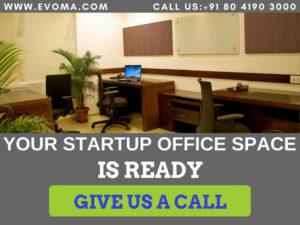 As one of the leading office space providers in Bangalore, Evoma constantly works with hundreds of startups, helping them find solutions to all their needs and challenges. We have found that it makes more business sense to provide the full suite of business support services to help startups operate and grow, rather than just real estate. So we’re constantly on the lookout for new ways on how to grow a startup, and help our startups succeed. As part of this effort to better understand how to grow a startup, we talked to Dr. Jayasankar Prasad, former CEO of the Kerala Startup Mission. KSUM is one of India’s earliest and most successful non-academic business incubators. Dr. Jayasankar shared some highly relevant ideas on how to identify startups and how to nurture and support them. Asked how KSUM spots exciting and challenging startups, and how they find the successful startups, this is how he explained it. Dr. Jayasankar: Yeah. So what we do is, we actually don’t find the more successful ones. What we find is…we find…find out innovative ideas. So Startup Mission…what it has done is…it has…it looks forward to innovative technology ideas…people…rather people who come up with innovative technology ideas, so that they can curate these ideas, bring them into successful startups, and then take it forward from there. We work with students…school students at the age of eight so that we can excite them into coding and electronics. We work with colleges across Kerala, mostly the professional colleges and also the others…polytechnics and other Arts and science colleges. It’s almost 180-plus colleges are already there with us, and we work with all the incubators in the state. And within the state, identify people who are – through mentors, through regular reviews – identify people who are potential candidates for us and then putting forward to them and support them, taking them across the networks, fund them and that’s how it is being taken forward. Dr. Jayasankar: KSUM supports women entrepreneurship awareness programs, women in coding and all this stuff. State supports a lot of affirmative actions in terms of the “WE” – Entrepreneurship events by KSIDC, women development cells and other things. Other than the general promotion and awareness creation, KSUM does not give any special incentives, but the state incentives of financial and other incentives are available to women entrepreneur and available to all entrepreneurs. Basically, I think an entrepreneur is an entrepreneur, immaterial of the gender. But even then, last year when we conducted a study, we found out only 8 percent are women entrepreneurs. When we looked across the globe, it’s 11 percent in Silicon Valley, 5 percent in Singapore. So we are not too far behind. As mentioned before, we find it’s more effective as a business strategy to support startups with acceleration and incubation services, and pitch our office space after establishing a relationship with them as an expert in supporting and growing startups. KSUM (formerly Technopark Technology Business Incubator) likewise used to be a startup office space provider, but now it’s the last thing they do. Dr. Jayasankar: Yeah. Incubation as it was run earlier was like…incubation like was sort of as giving a coworking space. Now whereas coworking space is only the last thing which we look at, and why I made that statement was because…the incubator…primary source of revenue for the incubator was this fees from these startups, and which essentially means that you get a …you have a push to fill up your space so that you get more revenues to become sustainable. This is not a workable model because this might affect your quality of startups. So what we have done is, we have changed our business model, from running from the revenues of the startups, to running based on the programs that we run. We run government programs and we get paid administrative overheads over that. So we are sustained by that. So no longer am I under a pressure to add more startups and try and get more revenues. So then I can be very choosy, I can be selective and my screening process has become very robust. So that is the reason why I suggested that now space is the last thing that I provide. But what do we look forward to? We look forward to whether it is an innovative technology product startup. So I would…we screen people before we take in. And now since my…I am not dependent on those revenues, I can be bit choosy about the people we let in.